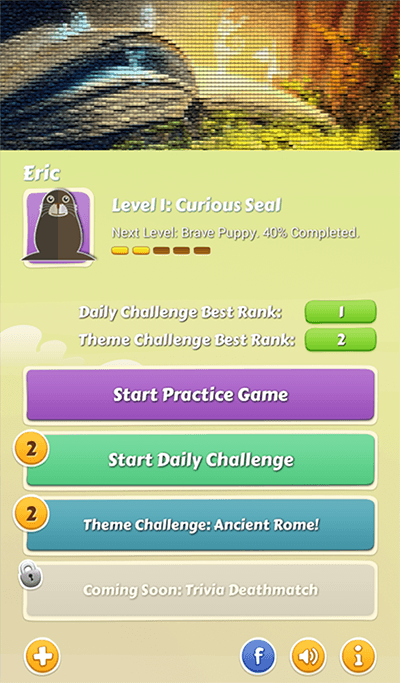 [TriviaGame][Android 4.1+] A new cartoon style, fun trivia game! We've created Factivia, a new trivia game and invite you to play the game and share your opinion! - Answer gripping, original and funny questions updated regularly. - Earn experience and unlock special characters. - Discover mighty Power UPs with each new character. - Compete with people around the world in daily ranked challenges. - Show your knowledge about featured themes. - Share your results with your friends on Facebook.